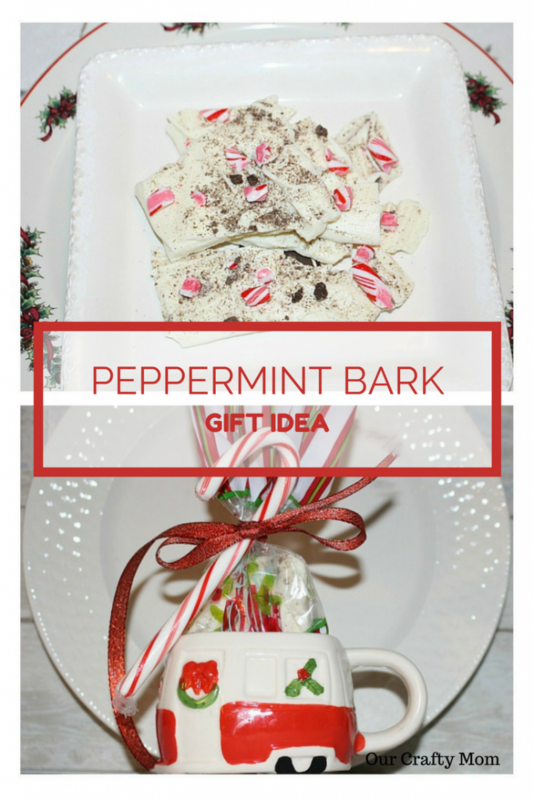 This quick and easy Peppermint Bark recipe is the perfect holiday treat! This is great for a last minute gift idea, or to enjoy yourself! It is actually something I make every year for an extra little gift for friends and family. 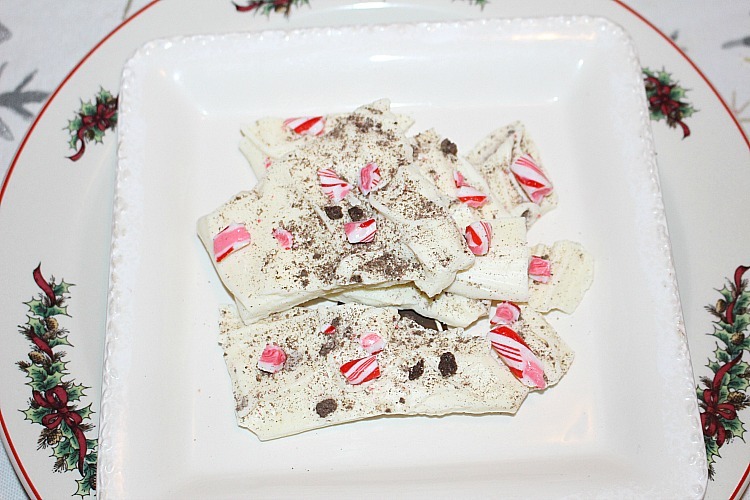 For this simple peppermint bark recipe, I added crushed chocolate cookies, but you can just use white chocolate and crushed candy canes if you like. One of the reasons I like to make bark is it is so versatile. You can check out my Smurfs Candy Bark here and my Halloween Candy Bark here. I love to use the Candiquik vanilla as you can melt it in the included tray, which makes it so convenient. It is great to use for chocolate covered strawberries too! 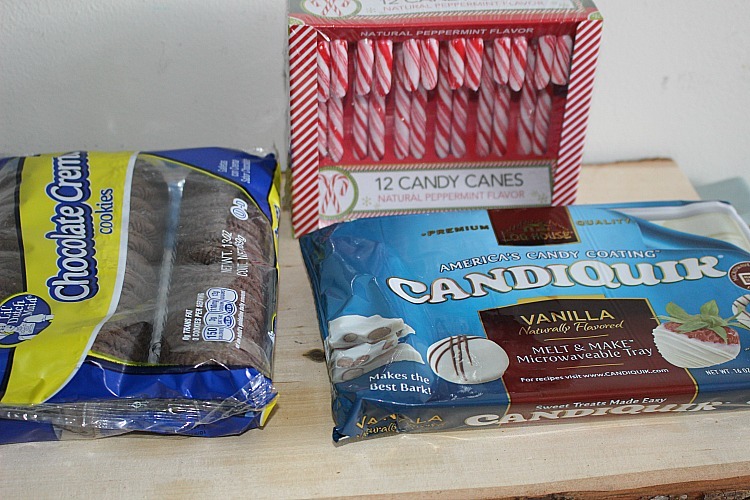 I use ziploc bags and my trusty rolling pin to crush both the cookies and the candy canes. Line a baking sheet with parchment paper and melt the chocolate according to directions, which is 60 seconds to start. If you use chocolate chips, it is best to microwave at 30 second increments until it is melted. 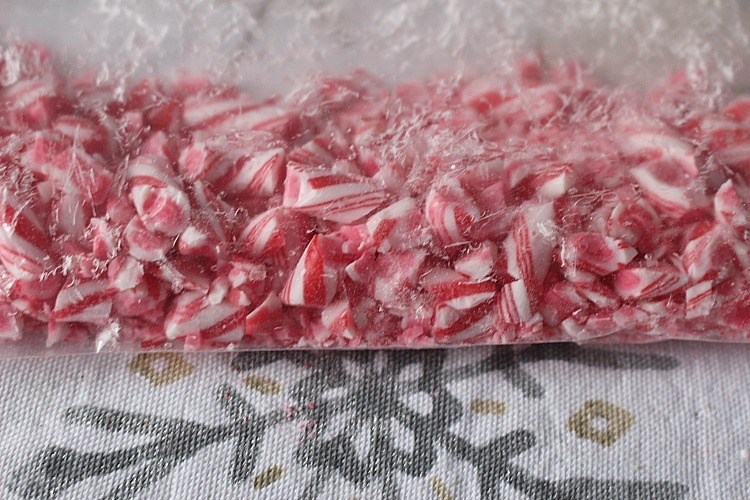 Then just pour it on the parchment paper spreading it out evenly and add the crushed candy canes and cookies. 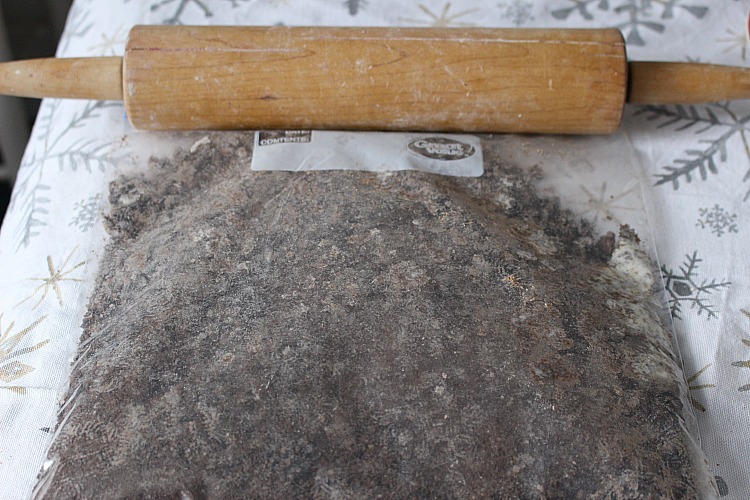 Place it in the freezer for about 10 minutes and either cut it with a chef’s knife or break it into pieces. 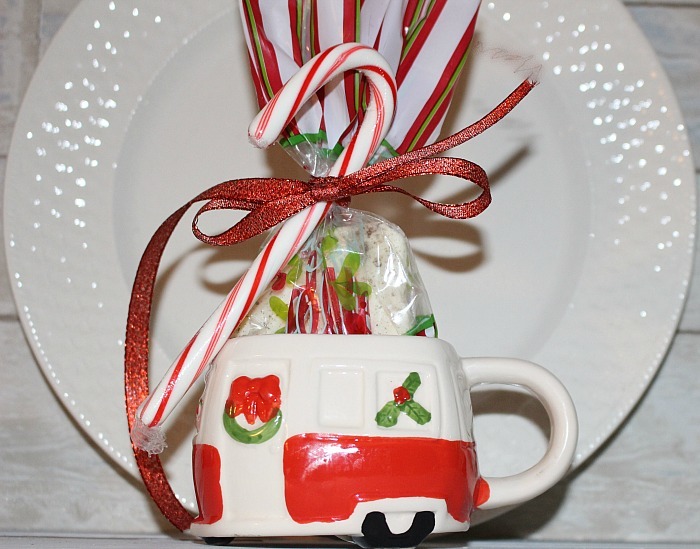 As I am giving some as gifts, I packaged some in individual candy bags and put them in the most adorable Christmas camper mugs that I found at the Dollar Store. Add a candy cane and this is a gift anyone would like to receive! Think about neighbors, co-workers or anyone you would like to make smile! 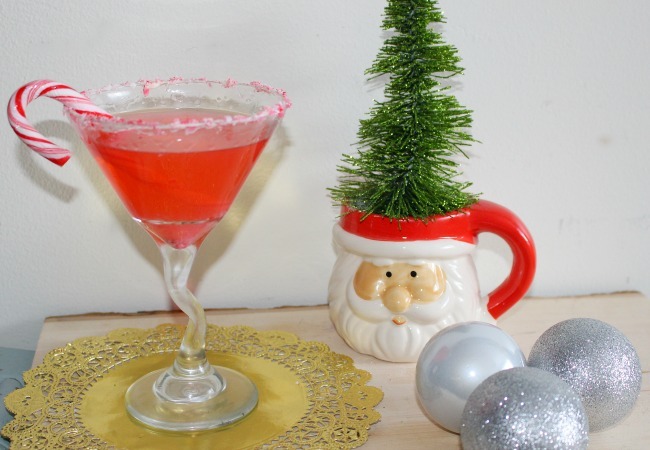 If you like peppermint you may want to check out my Peppermint Martini here. 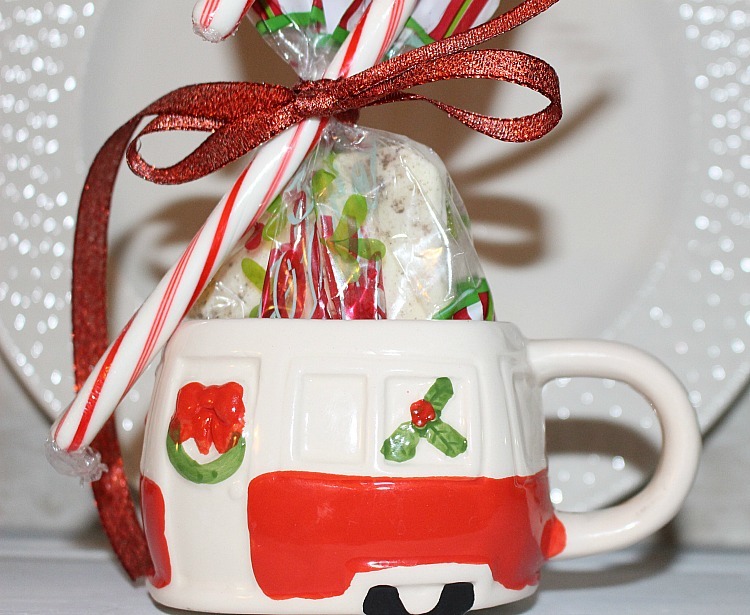 Be sure to come back tomorrow as I will be sharing another gift idea-Peppermint Sugar Scrub! This looks so yummy! Might have to see if I can source some of the ingredients or find something similar here in Australia! Easy and quick, love this kind of recipe. It doesn’t even use many dishes. This would be a nice personal little gift for a friend.